The Sky Blues required the assistance of the Australian Institute of Sport to field a team against Adelaide United on Saturday evening, as seven uncontracted teenagers took to the field in the 4-2 loss. ?Unfortunately don?t have enough players to be able to put together a team to play matches twice a week at present,? Sydney FC Coach Ian Crook said. ?We still have players in the final stages of rehabilitation from off season surgery and we also have a few niggly injuries. ?We?ve also got three boys away with the Australian U20s and it?s not right to be pushing the fit players in the squad to play twice a week at this stage of the pre season. That?s fine if you have 22 players to rotate but we?re not in a position to do that. ?It is unfortunate that we won?t be able to play APIA Leichhardt but we need to ensure we are ready to go when the competition starts on 6 October, which is only five weeks away. That is our primary focus and we?re on target for that.? Sydney FC Chief Executive Officer Tony Pignata also apologised to APIA Leichhardt for the cancellation: ?We?re sorry to have to cancel the game but we?re not in a position to be able to play and unfortunately we can?t jeopardise the fitness of the players at this delicate stage of pre season.  ?APIA Leichhardt has been very good about it and we will work with them to make sure their fans and junior players receive something special from Sydney FC.? Sydney FC fans in the inner west will be able to watch the Sky Blues take on Newcastle Jets at Leichhardt Oval on Sunday (9 September). Kick off for the game is 2.00pm. However, in the last four weeks everything has changed. The Wolves have lost four on the trot while the Tigers, under the guidance of Billy McColl, have won four. It is indeed a strange reversal of fortunes. McColl, who may not literally be a magician, is certainly working wonders with the APIA team he inherited last month. Furthermore, in the history of APIA Leichhardt [a club that dates back to 1954] he is the first coach to be invited back for his third stint as first grade coach. Some record but McColl is not getting carried away. ?The boys just needed a little bit of belief and a little bit of direction and I provided that,? he said. ?APIA always has talented players and we have proved that over the last four weeks. ?I said when I came here that they should have been in the finals and they have proved that even though we?ll miss out.? So did McColl expect to win four games from four with only one round remaining? ?I expect five from five because next week is a special occasion against Blacktown Spartans as it?s the last time that we?ll play on the dirt before they lay the artificial turf. I hope to see a lot of people here at Lambert Park and enjoying the occasion. ?Today was very tough game and the Wolves were coming here to maintain a finals spot. It was a battle; losing a player in the second-half and our opponents didn?t make it easy but it just shows the true grit and determination of our team. ?We had the whole second half with ten players but we still scored and it was a great victory.? So, would McColl back up as a fulltime coach of the Tigers in 2013? ?No, this is it as I told you before and I certainly hope that the coach who has the team next year keeps them in the top half of the table so that I don?t have to come back,? he said. The game itself was most entertaining for the sparse crowd. In the 9? minute a corner kick which wasn?t cleared properly by the APIA defence made its way to Ricky Zucco who, with a powerful volley, almost hit the target but unfortunately for the Wolves it finished just over. APIA?s first real chance of the game came in the 18? minute and it was a two-pronged opportunity that went begging. Brad Bartels entered the penalty-area and tried to put away a dangerous shot but it took a deflection and ended up away for a corner. From the subsequent set piece Adel El Jamal almost put the ball in the back of the net with an almighty shot that somehow Daniel Collison deviated away. South Coast Wolves tried to open to scoring and came close in the 32? minute when Mark Picciolini forced Anthony Costa to turn his shot away for a corner. However, it was the home side who opened the goal scoring shortly afterwards. A move downfield ended up with Bartels having his shot partially blocked but only as far as Gyu Re Lee who drove the ball home from close-range. The Korean definitely had his best game of the season. Just prior to the break Stephen Kayes scored a stunningly brilliant goal and didn?t the little midfield maestro enjoy the celebration. An innocuous ball rolled across to him and, from at least 20-metres out, he blasted home a shot that was never destined to miss the target. Simply brilliant and worth the look at the replay on the highlights reel this week. The visitors then came out all fired up and determined after the break. Trevor Morgan?s half-time talk must have had the desired effect as Zucco ? who almost signed with the Wellington Phoenix a few months ago ? sent a wonderful free-kick from an acute angle straight into the back of the net. The Wolves must have thought that all their Christmases had come at once when Adel El Jamal was sent off in the 51? minute. El Jamal, who was booked earlier for a hand ball, received his marching orders for a second yellow card for exactly the same offence. However, it would have been difficult for the hardworking defender to pull his hand away as the ball appeared to be shot straight into him. Furthermore, his first booking came after the assistant referee had already signalled for an offside. Nevertheless, APIA regathered and in the crucial last 40? minutes or so played like their life depended on it. South Coast were poor much to the frustration of their astute coach Trevor Morgan who is now on secondment for two weeks with the Young Socceroos. ?We went quiet,? he said. ?APIA went to a 4-4-1 and they were sitting off us and pressing deep. We ran into the mistake of letting them play things long but after they scored their third goal we switched back but it was too late. ?They were looking to contain us and catch us on the break and that?s exactly what they got, so good for them.? In the 71? minute APIA scored their third in a classic counterattacking move. A nice route-one ball from Re Lee made its way to Ethan Galbraith who then danced around the goalkeeper and scored with a good finish. ?We haven?t been out of the top three for 18 rounds and we were definitely trying to win this game,? Morgan said. ?We could still come second and its fairly new territory for a lot of players in our squad. ?There are some good signs but also there are some struggles that we are not dealing with too well. ?Sometimes when you have nothing to play for [like APIA] the opposition makes the mistake and relaxes. We have a lot of players away injured but I am definitely not going to make excuses. ?We have lost our rhythm a bit but hopefully we?ll find that again starting from next week.? Yellow Cards: El Jamal 25?, Kayes 29?, West 50? Red Cards: El Jamal 51? With the White Eagles having already sealed the Premiership with the win at Parramatta FC last weekend, Brian Brown?s men ensured victory for their home supporters with another home win against last season?s stand-out side, extending the lead at the top of the League ladder to thirteen-points. Robbie Younis netted twice for the home side, the burly striker reaching quota 19 for goals scored this season, before player of the match Tynan Diaz blasted a superb volley into the back of the net late in the second-half to seal the deal. Sydney Olympic came out of the blocks quickly with its attacking intentions shown early in the front third as both Phil Makrys and Kutaiba Elrich attempted shots on goal. The latter?s effort in the 3? minute forced Nikodin Matic into a routine save. The home side responded in the 5? minute with its first forward foray. Mitchell Long showed some fine skill as he slalomed his way past two defenders before driving his diagonal effort wide across the face of goal. Bonnyrigg didn?t have to wait long to open the scoring as top scorer Younis netted with a fine finish on 7? minutes. Tynan Diaz?s set-piece delivery from the right fell into the path of the striker who took a first touch with his back to goal, before blasting the effort past Paul Henderson. On 12? minutes, Marton Vass found a slight opening for the Blues. The tall midfielder picked up a loose ball inside the penalty-area before his powerful drive on goal was thwarted by some desperate Bonnyrigg defending. The White Eagles doubled the lead 2? minutes later, again via Younis. The goal poacher was clinical with his first-time drive off his trusted left peg, blasting Aleksander Canak?s square ball past Henderson. The visitors had the White Eagles on the back foot on 23? minutes when William Angel first, then David Gullo, skipped their way past a number of Bonnyrigg players. Both players, with the goal beckoning, were denied by some stern defending led by Nikola Zonjic. The Blues should have re-opened the contest in the 28? minute as Chris Triantis delightfully played a chipped pass into the path of Kutaiba Elrich. With only the goalkeeper to beat, Elrich?s drive straight at Matic was expertly diverted over the crossbar by the shot-stopper. Sydney Olympic continued to press late on in the half as Gullo combined with Angel to send the latter to the byline. Angel?s powerful drive across goal in the 37? minute failed to find a teammate as the chance went begging. Bonnyrigg?s movement out of the middle of the park was at its typical best with Canak, Diaz and Adrian Ucchino in tremendous touch – the latter a true workhorse for the White Eagles. In the 40? minute, Spruce was denied by Henderson. The Sydney Olympic shot-stopper made a fine save on his goal line from the defender?s powerful header, as Spruce rose highest to meet Tadrosse?s in-swinging corner. Sydney Olympic closed the half on the front foot, much as they started the match, though Phil Makrys? best efforts off a set-piece, followed by some Gullo magic down the left, failed to carve out a clear goal scoring chance as Bonnyrigg went into the break with a two-goal advantage. Following the half-time interval, Sydney Olympic created the first chance of note on 51? minutes. A Phil Makrys free-kick from a central position got around the Bonnyrigg defensive wall, however a lack of power failed to test Matic who claimed the ball comfortably. Bonnyrigg responded in the 56? minute as Diaz got forward down the right. The right-winger?s deep cross found Canak at the back post, with the attacking midfielder cutting the ball back into the middle to find Younis who failed to hit the target with his headed attempt. On the hour, a tantalising passage of passes by the White Eagles, started by Diaz and finished with Tadrosse, saw the home side completely cut-up the Blues defenders. Tadrosse?s square ball picked out Younis inside the penalty-area though once more the striker was a little wasteful, blasting his effort wide of the target. Diaz continued to entertain the home supporters with a fine array of touches on the ball, constantly teasing his opponents as he continued to play neat two-touch football. The right-sided midfielder combined with Ucchino moments later as the latter only just failed to carve out a defence splitting pass to release Younis. The White Eagles deservedly added a third in the 71? minute, and rightly so it fell to Diaz. The Bonnyrigg number 7, from an angle, sent in a dipping volley hit with aplomb over the helpless Henderson who could only watch as the supporters went into a frenzy. Diaz was at it again 3? minutes later as he tried his luck from distance. The midfielder?s low-driven effort appeared to have Henderson beaten though only just finished the wrong side of the shot-stopper?s right-hand post. Following a lengthy onslaught from the home side, Sydney Olympic finally got forward in the 77? minute. Zac Elrich got the look in as he picked up a loose ball inside the penalty-area before forcing Matic into a diving save down to his right. Second-half substitute Matthew Mayora followed up that effort with an attempt of his own from distance 8? minutes from the end, though once more Matic was up to task. At the other end, Younis was denied his hat-trick as he met Long?s cross from the right only to see his powerful header thwarted by the Blues defence. Sydney Olympic rushed back down the other end and again forced Matic into a save. Mayora?s rifled attempt was dealt with by the goalkeeper before a follow-up attempt was also parried expertly by Matic. The League?s top marksman again went close to finding his hat-trick on two more occasions in the 90? and 91? minutes. The first saw the striker drive his diagonal effort inches wide of Henderson?s left-hand post before driving a perfectly elevated ball over the crossbar from near point-blank range. The miss didn?t deter the fans who were in full voice following the referee?s final whistle, as scenes of jubilation followed with the White Eagles squad deservedly celebrating a fine Premiership triumph. ?I am very very happy with what these boys have achieved this season, the boys have all been tremendous,? commented Brown. ?Not many people would have given us a chance at the start of the season with so many players leaving the club, though the boys have all worked so hard and I am proud of every single player. ?We knew this match would be tough, Sydney Olympic is a top side and even though we clinched the Premiership last weekend, we really wanted to give our supporters a win for all their efforts this season too. ?Also, a win against Sydney Olympic ? and we have a match against Blacktown City FC next weekend which we will face with the same intensity ? is very important as we look to go into the finals series with some good momentum. ?A win tonight, with another clean sheet against a strong, dangerous side and fifty-points from twenty-one matches is very pleasing, though we will need to keep the intensity high between now and the end of the season,? ended Brown. ?All credit to Bonnyrigg, they have had a great season and deserved to win the Premiership, well done to them. ?On the match tonight, I thought we started well enough, we had some good intensity and over the course of the match we managed to create some chances. ?The difference between the two sides was that they took their chances and we didn?t. ?Then in the second-half, we really went missing. ?This result is a wakeup call for us, we know that we need to bounce back quickly and look to finish the regular season strongly next weekend in order to give ourselves the best chance possible for the finals,? Tsekenis concluded. Yellow Cards: Kutaiba Elrich 16? The match will take place on Wednesday, September 5 at Leichhardt Oval, with kick off at 7.30pm. Sydney FC, under new coach Ian Crook have beaten Macarthur Rams and St. George Saints so far in their pre-season and they will step up their campaign against NSW Premier League opposition. APIA Leichhardt are a historic figure in Australian football and as a club have produced more national team captains and players than any other Australian football club. Entry to the match is free for children under 16, all registered APIA Leichhardt Tigers players, APIA Leichhardt juniors and all Canterbury and Districts Soccer Football Association registered players. On Sunday afternoon, Apolevski will be playing his last home game for the club that he has been part of for 26 years. Apolevski, 32, will be retiring from football at the end of the season due to a neck injury that has hampered him for the past six weeks. With a wife and young family, the Rockdale City midfielder has understandably shifted his priorities away from football, particularly when given the diagnosis. ?I was getting migraines and headaches during games that I tried to treat with Panadol and other painkillers, but they had no effect,? Apolevski said. ?I had an MRI scan and that was when they found a bulging disk in my neck, as well as two embedded disks as well. I can?t have an operation, it?s just from wear and tear. ?The doctors advised that I stop playing and as I have a young family now, they are my priority,? he said. Apolevski is the modern day ?one club man?, having played at Rockdale City since he was six years of age. His career there has been a fulfilling one, according to the midfielder himself. ?My older brother played for Rockdale City. I watched him play and really wanted to get involved, so I started in the juniors,? he said. ?I came through the youth league and then eventually into Premier League. I was 17 years old and playing in the 18s when I was given my debut for Rockdale City first grade,? he continued. For someone who has been involved in one club for such a long period of time, leaving entirely would surely be a difficult task. Apolevski though, has no plans to forget his beloved Rockdale City. ?I definitely plan to stay involved,? he said, in news that will delight the Suns? fans. ?Probably not in coaching, but I will definitely stay involved in the football department,? Apolevski said. For someone who has played at one club for so long, one might think that it would be difficult to pick a single highlight, but when asked, Apolevski didn?t hesitate. ?Definitely winning the Premiership and Grand Final of the NSW Super League in 2002,? he said. In a season that will live long in the memory of all Rockdale City fans, the side was only defeated once all season, sweeping their way to a wonderful double. Rockdale City?s match against Marconi Stallions on Sunday afternoon will be Apolevski?s last at Rockdale Ilinden Sports Centre, but after an excellent recovery under the tutelage of Mark Rudan, the Suns are still a chance of finishing in the top five, sitting five points behind their weekend opponents with two weeks left of the season. Apolevski said, ?If we pick up six points over the final two weeks of the season, I think we?ll make the finals.? When pressed as to what impact they could make it they did manage to finish in the top five, Apolevski was positive about Rockdale City?s prospects. ?Look, we can beat any team in the competition on our day,? he said, wary not to get too far ahead of himself in the knowledge that to make the finals first of all would be a marvellous achievement, given their poor start to the season. Whilst Apolevski is moving on at the end of the season, he is confident that the club is in very safe hands, sighting the progress of some of the club?s young stars as a sign of the future. ?This club has a very bright future,? he said. ?We?ve got some very good young players coming through like Alec Urosevski, who has made a great impact in first grade this year. You only have to look at the progress of the Grade 20s side to see how well this club is going, they?re sitting towards the top of the table and have had great success this season,? Apolevski said. Whilst the club is in good hands for the future though, this weekend at Rockdale Ilinden Sports Centre is all about saying farewell to Pece Apolevski, a true Rockdale City legend and a great ambassador for football.